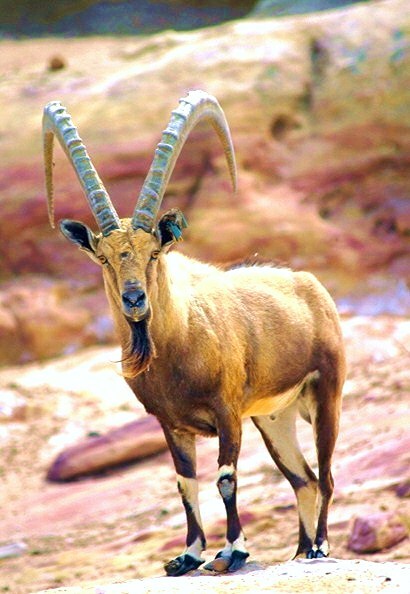 Nubian ibex are extremely well-adapted to the steep, rocky and mountainous regions that they inhabit in northeast Africa and parts of Arabia. To cope with the hot, arid conditions they have a light-coloured shiny coat that reflects sunlight. They move up and down the precipitous cliffs with ease, and their agility in this hostile environment plays a big part in predator avoidance. Along with some impressive horns the males also have long dark beards used during scent marking and to excite the females.